In 1997 the series Stargate SG-1 first aired on American cable television and over the course of nearly nine seasons has developed its own unique mythological superstructure. Stargate SG-1 focuses on the dynamic relationships among the show’s main characters, the four-person first-contact team: SG-1. Each week they are taken to new planets where ancient human civilizations have been seeded as slave populations by the show’s arch-villains, the parasitic, body-snatching Goa’uld. The series’ concerns therefore range from ancient cultures and contemporary politics, to aliens and advanced technologies, all given life with award-winning special effects and anchored by the central icon of the Stargate. Stargate SG-1 has blossomed into a series driven by fierce fan loyalty, with lively internet discussion groups, growing ‘textual poaching’ in fan fiction and art, and popular annual conventions. It has also generated a spin-off, Stargate: Atlantis. 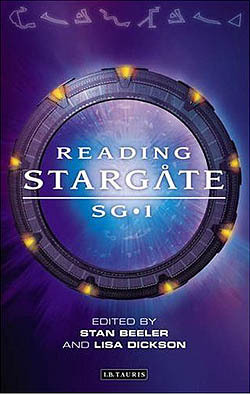 In this welcome critical celebration, contributors discuss Stargate SG-1’s characters, cinematic techniques, its themes and its place within science fiction television and film, along with its interaction with fan fiction, its Canadian setting, its ideological framing in the American point-of-view, and the tensions between its humanistic morality and its representation of military/political objectives. There is also assessment of the currently fledgling Stargate: Atlantis. Written for both fans and scholars, the book also includes an episode guide to the first eight seasons of Stargate SG-1 and to the first season of Stargate: Atlantis, as well as a glossary of terms.